Cable endured another choppy though largely directionless session today. GBP/USD was showing negative sentiment early on and began drifting to the downside. The pair dipped as low as 1.5127 reaching a five month low before staging a minor recovery rally. Most traders were anxiously awaiting a speech of the Bank of England governor Mark Carney which is scheduled for later today. Mr Carney often strikes a hawkish tone in his speeches and this led some traders to speculate on cable undergoing something of a recovery. But with evidence that the UK economy is undergoing a soft patch and the US economy apparently speeding up this will be an uphill struggle for Sterling. The euro has also posted two-weeks of solid gains versus the UK currency. EUR/GBP is now skirting around the 0.74 level. This being the highest level hit since May this year. The pair is also trading above the 200-day and 50-day moving averages lines – a bullish signal as these are seen as critical reversal zones. 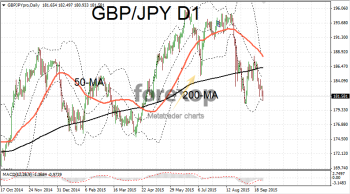 GBP/JPY also showed significant weakness today after testing the lower end of the 181 area. 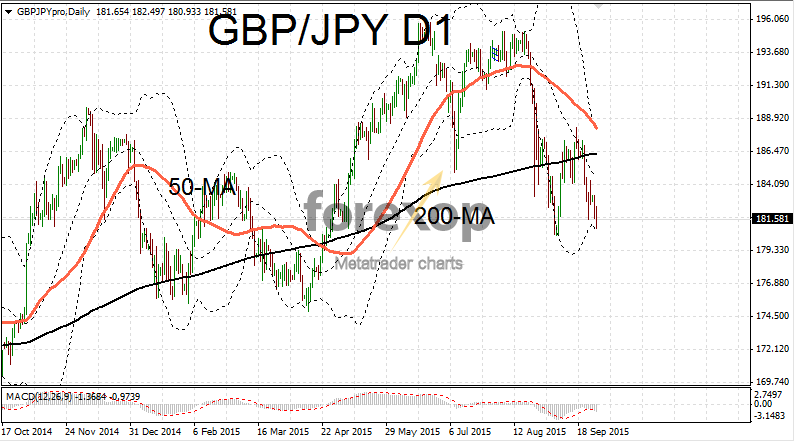 GBP/JPY has dropped from 195 one month earlier. Most commodities made a recovery today but this was from very depressed levels. Crude oil bounced back above the $48 mark. The stability in the sector gave some relief to commodity currencies after experiencing some brutal falls this month. USD/CAD reversed yesterday’s gains and dropped to 1.3429. This came despite Canada reporting some weak inflation figures on Tuesday. The Aussie dollar regained some strength after a week of punishing falls against the US dollar. AUD/USD remained beneath the 0.70 level however with the Aussie unable to gather enough upward momentum to break above that resistance. The New Zealand kiwi also nudged up from very depressed levels. NZD/JPY firmed to 0.7602 while NZD/USD climbed off multiyear lows to reach 0.6346.